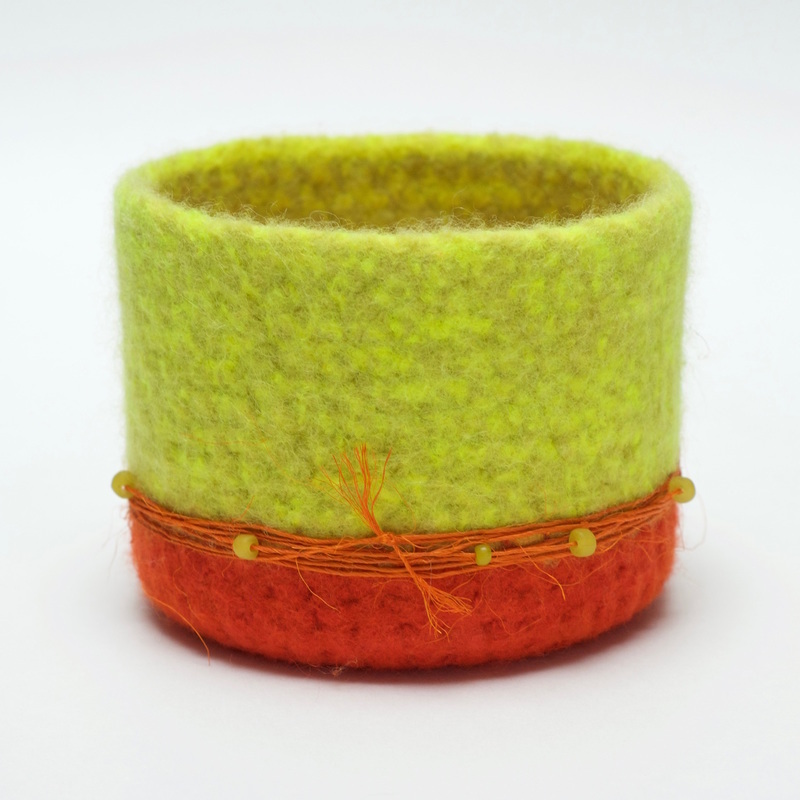 BOL is a straight-sided firmly felted container in assorted solid colours. BOL can be used alone for keys, a plant, jewellery or collected treasures. BOL comes in two sizes; 4"w x 4"h and 5"w x 4"h. Because these felted pieces are made by hand, the measurements may vary slightly.